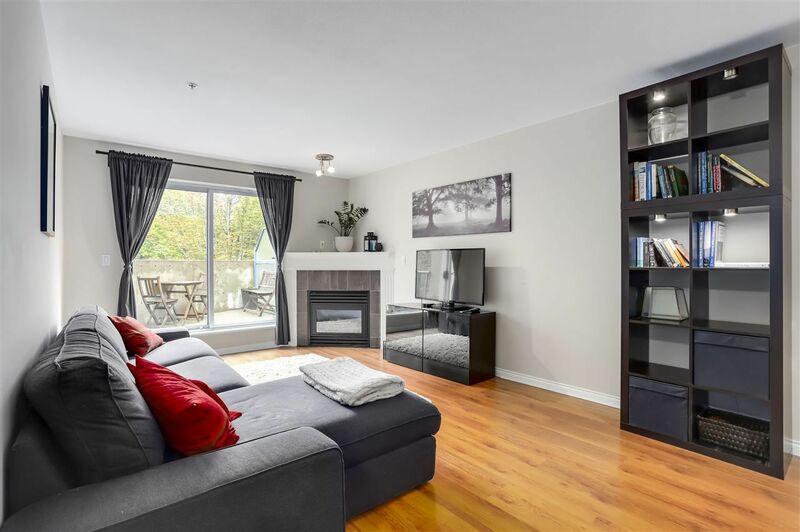 Updated 2 bedroom and 2 full bathrooms in one of Burnaby's finest neighbourhoods. Spacious floor plan with open living/dining/kitchen, laminate flooring, and a cozy gas fireplace. The kitchen is bright and roomy w/corian countertops and a built-in sink. Not 1, but 2 private balconies perfect for your barbecue and bistro set. Pet friendly building. 1 parking and 1 locker. 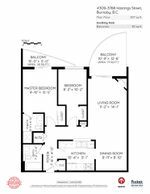 Very convenient location with easy access to downtown, SFU, Metrotown, North Shore, transit, and Hwy 1. Walking distance to a variety of shops, restaurants, and parks. Open Sunday, January 27th from 2-4pm. PL LMS3430 LT 26 DL 116 LD 36. GROUP 1, TOGETHER WITH AN INTEREST IN THE COMMON PROPERTY IN PROPORTION TO THE UNIT ENTITLEMENT OF THE STRATA LOT AS SHOWN ON FORM 1 OR V, AS APPROPRIATE.